Will My Rankings Return After a Google Penalty? Search Marketing » Bruce Clay, Inc. Blog » Will My Rankings Return After a Google Penalty? We’ve been receiving a lot of inquiries from people who have been penalized due to poor quality links. The big question on everyone’s mind seems to be: “Will my rankings return to there they were prior to a Google penalty?” In this short video, Bruce Clay explains the process of link spam and inflated rankings, where link spam penalties from Google tend to move a site and how to recover rankings. Transcript follows the video. “Hello, I’m Bruce Clay with Bruce Clay, Inc. Today we’re going to talk a little bit about what we have seen since the Penguin update hit. We have been getting a lot of phone calls from people who have had penalties; rankings that they used to have totally went away. And when we’ve done some studies, we find a great many of them have had link problems, which is a classic symptom of what we’re seeing in Penguin. I thought I would explain though, a common misconception, I think. That these people have about what actually happens when you solve the penalty. They don’t really understand the entire flow of how the penalty happened, what benefit they got from spamming and that when you fix the penalty, you don’t go back to where you were. I’m gonna use the board to sort of describe what we’re finding a customer will go through when they’re doing the penalty. In the beginning of time, they might have been running around Page 3 in the rankings. They’re certainly needing some help … they’re not getting the traffic they wanted, so what they’ll do is they’ll spam. And they’ll buy links or somehow solicit links from sites that are lesser quality, that are inorganic, not natural to their topic. However, they start accumulating PageRank, and they go up perhaps to Page 1. And they’re floating around here realizing the benefit of the spam tactic. They’re getting what they wanted to get. Problem is, when the penalty hit, they go down. And they generally go down farther than they were when they started. When we fix the penalty from this point, we are not able to fix it to a level they hope will bring them back up to the top. In order to get back to the top, you have to earn it. Instead, what you’re normally going to see is that fixing the penalty returns you to where you were when you started. It’s important to remember that there are many factors involved in a site’s ranking, and rankings cannot be guaranteed. But, if you take steps to clean up your site as best as you can, keep Google in the loop that you’re making an effort to do so, and begin to implement quality search engine optimization, you’re on your way to repairing the damage that Web spam has caused your site. That is such a naive comment…of course they can have been doing so. If you’ve been penalized it can be a process to recover. First, you need to figure out what the source of the penalty is and will need to tweak different things to see what results in a change. This can take many months. It’s important to be patient and not change too many things at once. That can make things worse. Google has been deindexing a lot of sites that it assumes are selling links on their pages. If you have a link with a keyword rich anchor text to different site, Google may mistakenly believe your site is also selling links and thus removed it from its index or apply a penalty. I would add that most will be above where they started, simply because while they were doing the spam, they were likely also doing good things along side of the bad. So they’ll see the benefits that the good would have given them, but because the spam had such an affect, the wont quite get back to where they were until the do more good. People have to learn not to take shady short cuts. If they want a higher page rank, they got to work on it persistently and consistently. Also. 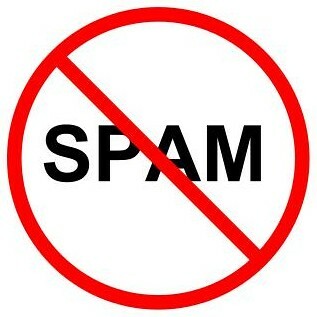 instead of link spamming they may want to concentrate more on producing quality content. Google will never penalise someone for creating original and high quality content. But how do you know why you lost 85 of your traffic in the first place especially if you have NEVER done any link building whatsover?